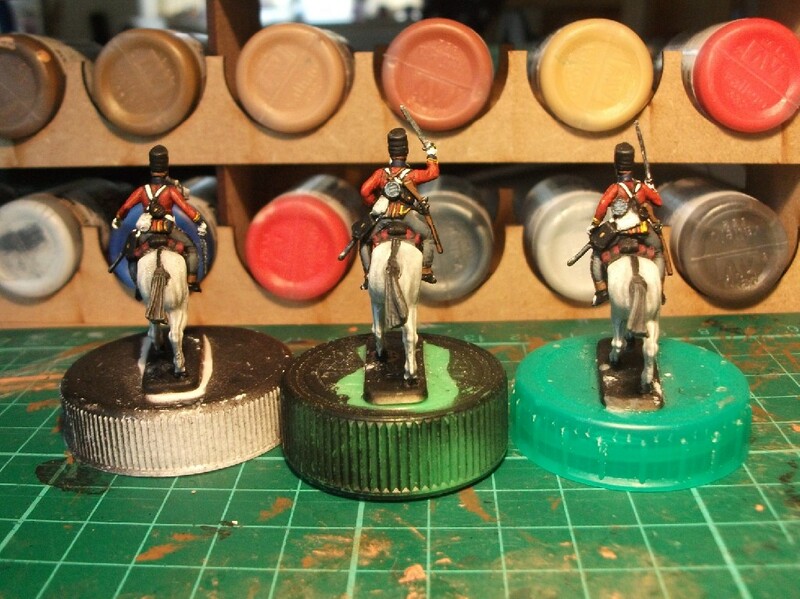 The Warwickshire Yeomanry horses have been shelved for now and the Bennos Forum Group Build figures are awaiting some essential paints to be delivered. 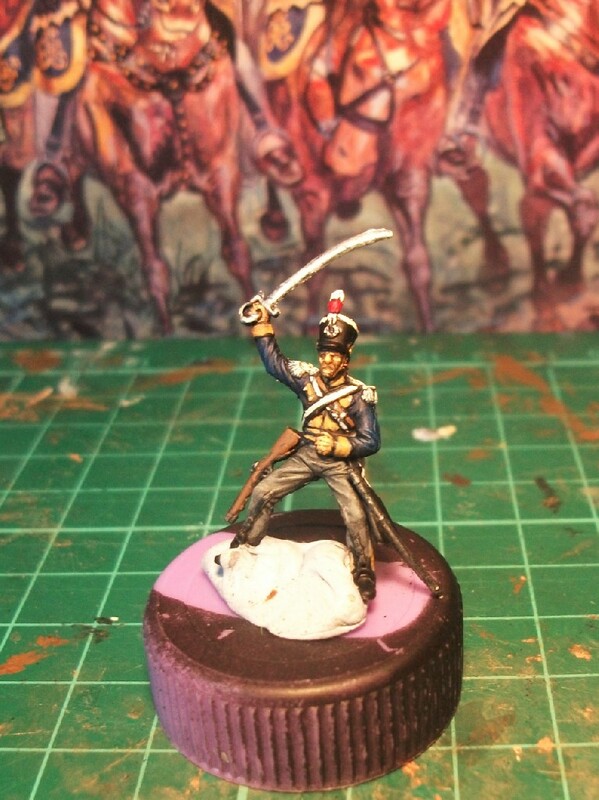 Instead, I’ve been rapidly painting figures for a friend’s son this week. 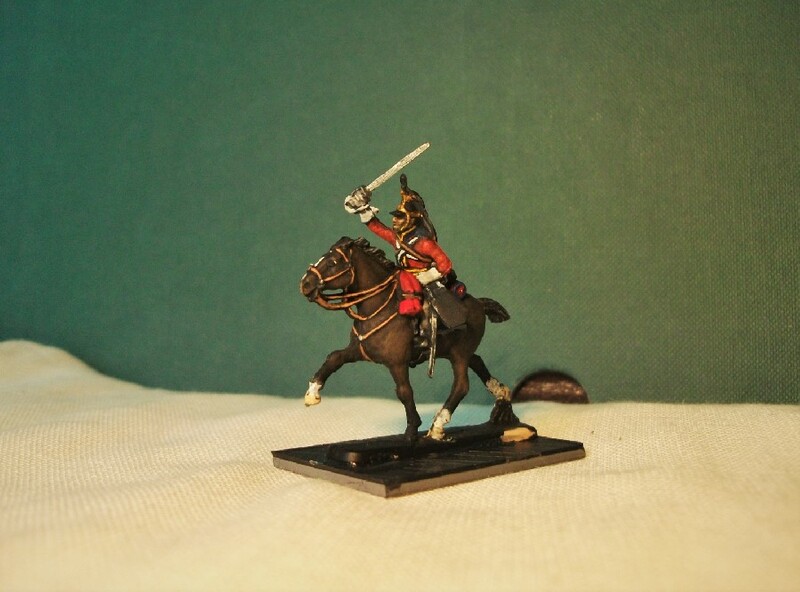 Whenever she visits with her son, he has previously shown a great interest in my model soldier displays. 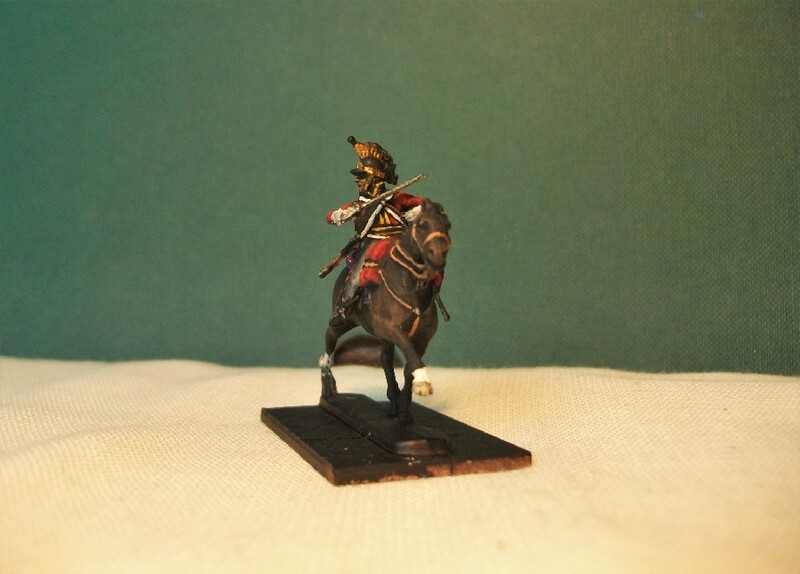 Consequently, a couple of years ago, I painted some Strelets Cuirassiers that I had lying around and posted them off to him as a Christmas present. 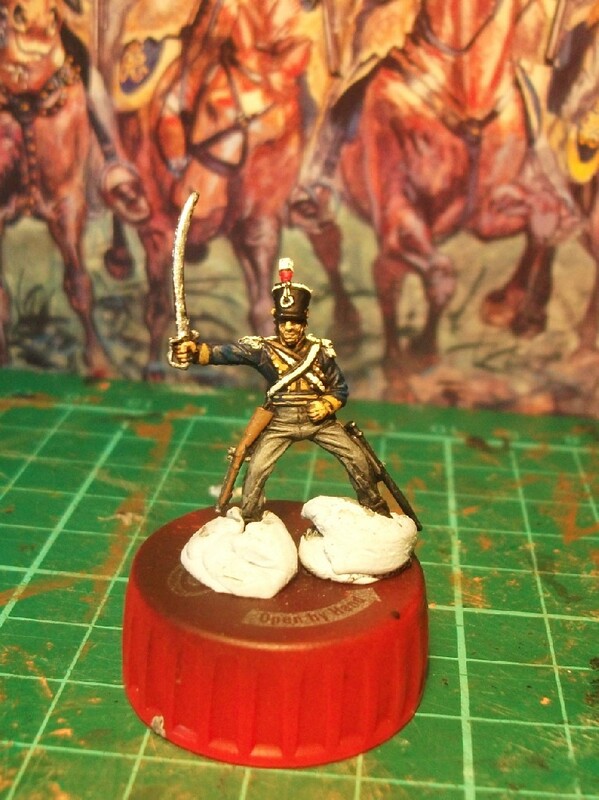 One of my ideas for 2016 painting was to tackle some superb Waterloo British Infantry and Highlanders by Italeri, so happily I had some Nappy soldiers lying around all ready to start some time this year. 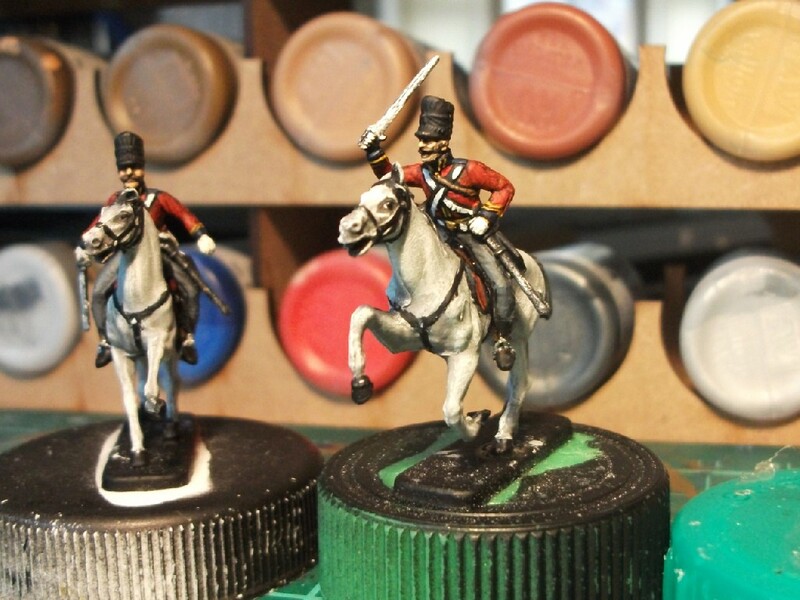 Curiously, despite the core of my childhood 1/72 scale armies being made up of British Waterloo infantry, I’ve never painted them! I’m not sure why I haven’t turned my attention to them previously, but here I am finally tackling some for a young lad who, perhaps, might go on to really develop his own interest in the topic. It would nice to think that these figures spark an interest in the same way that (in their unpainted guise) they did for me. These Italeri figures are terrific, certainly better than the charming but flawed old Airfix ones that I used to have parading so many times during my childhood. These figures seem to sport a mixture of Belgic and older ‘Stovepipe’ shakos, some being covered in oilskin. The poses are good and very natural (witness the NCO standing nonchalantly). Some figures came with covered shakos like this. 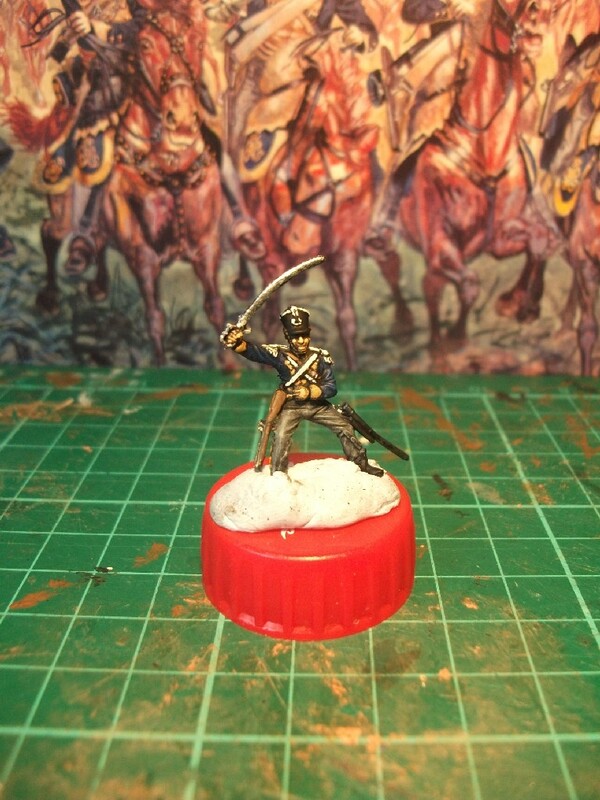 The figures from the next regiment in my Nappy Cavalry Project are nearly finished, so I just thought I’d post a preview of them before the final touches and basing. 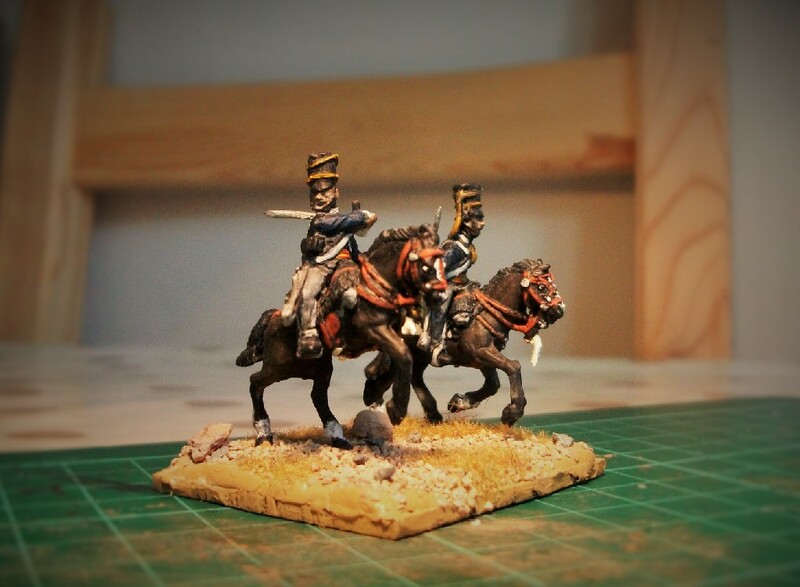 These are painted as the British 1st Dragoons of the Waterloo era. 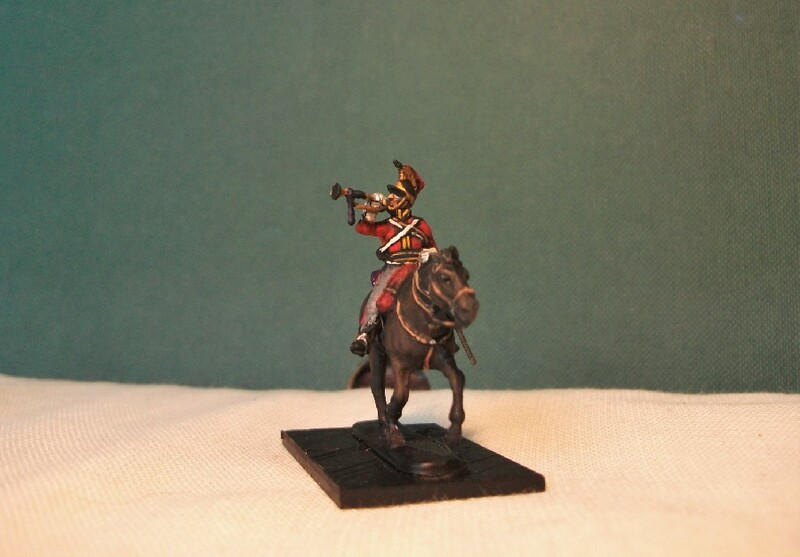 They were known as “The Royal Dragoons” and, after Waterloo, also by the nickname “The Bird Catchers”. This was a reference to the capture of the 105th French Line Infantry regiment’s eagle by the Royal Dragoons at the battle of Waterloo. This eagle was displayed alongside the other eagle captured at Waterloo (by the Scots Greys) recently, an event timed to coincide with the 200th anniversary. 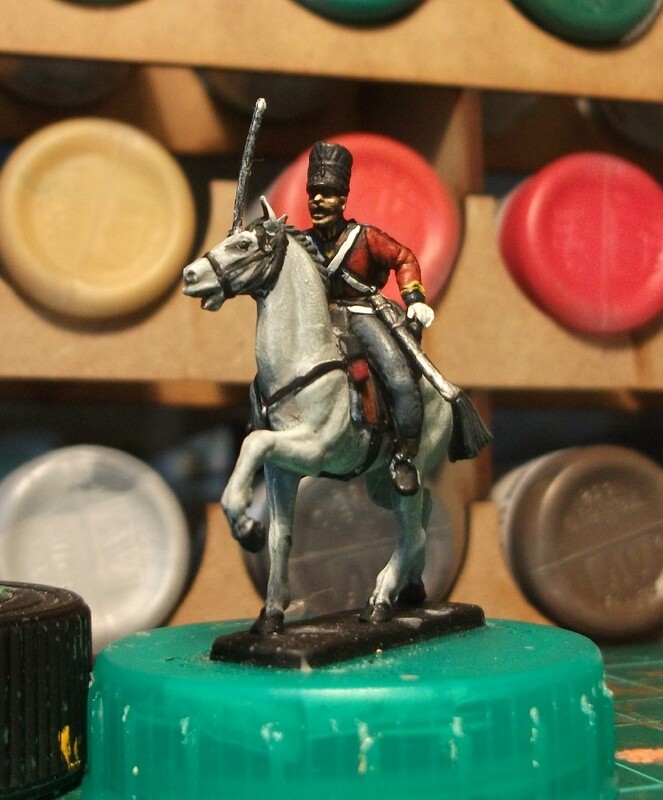 As promised – a short blog entry on the British 13th Light Dragoons, which are the latest regiment to get my ‘Nappy Cavalry Project’ treatment. They were once very unfairly chastised by the Duke of Wellington during a battle in the Peninsular campaign. They had apparently performed brilliantly but still suffered a stinging rebuke. And they also found themselves as one of the five regiments taking part in the infamous (though by no means necessarily ‘disastrous’) Charge of the Light Brigade. Arguably all the regiments who took part gained some considerable kudos for their gallant conduct. 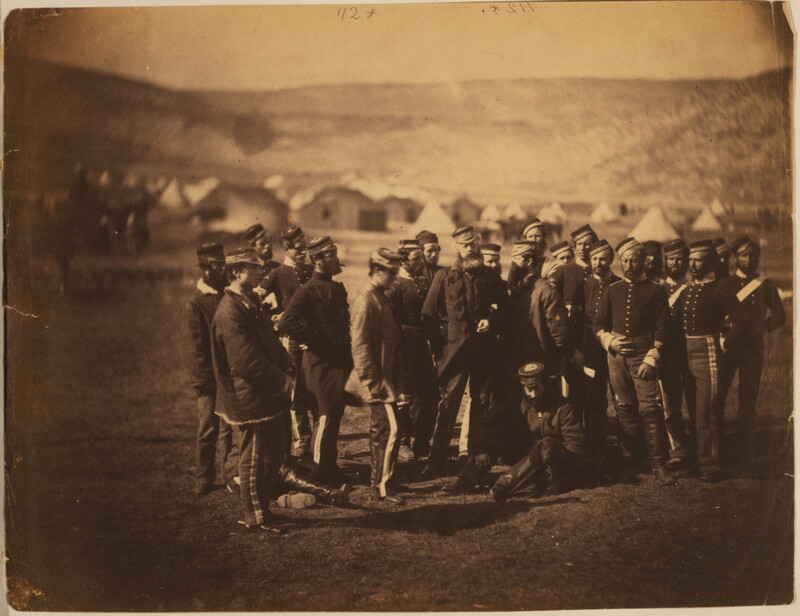 Roger Fenton’s photograph of the 13th Light Dragoons in the Crimea These men are survivors of the charge of the Light Brigade at Balaklava. 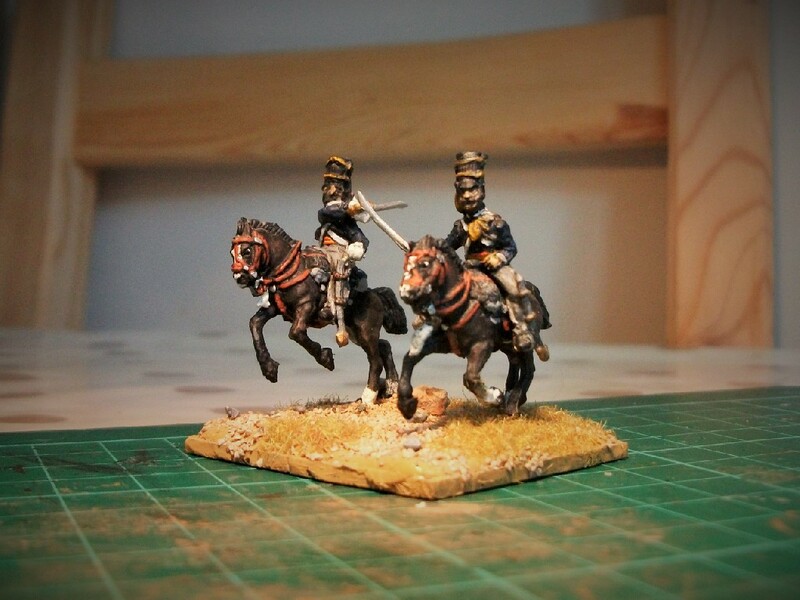 A couple of years ago, I painted a few examples of this regiment in their Charge of the Light Brigade guise, the figures courtesy of a set by Ukrainian manufacturer Strelets. At Waterloo, they also acquitted themselves very well. The regiment suffered 111 casualties throughout this bloody battle. It was on this occasion that Lord Hill uttered his bold order at the top of this post. Perhaps such faith in their abilities reflected a rapprochement in high command’s attitude towards this regiment, following the contentious Peninsula incident. 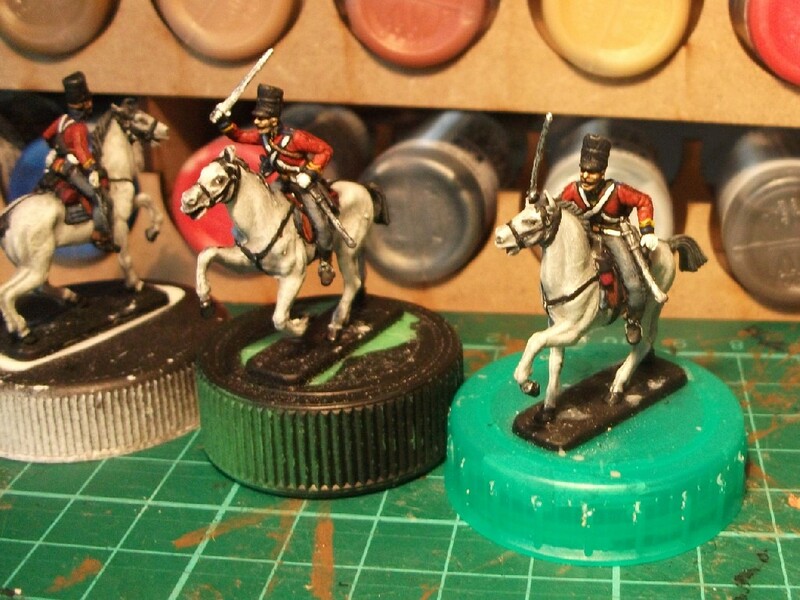 It is these Waterloo-era figures that are forming the latest part of my Nappy Cavalry Project. 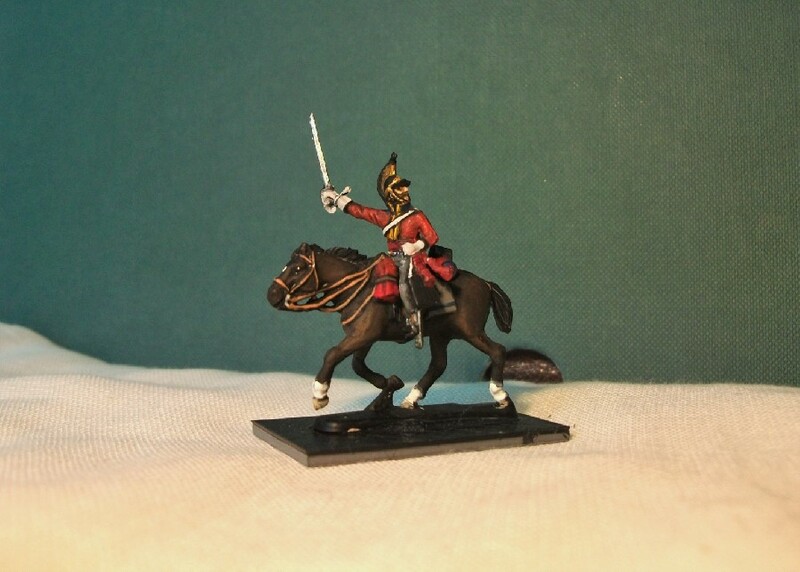 With some figures from the BFFFP still up for grabs (unless another forum member elects to paint them over the next week or so), I sought out some of my Esci Scots Greys. These little guys were inside a plastic box which contained many other soldiers, the common denominator of these being that they were all figures from my childhood. 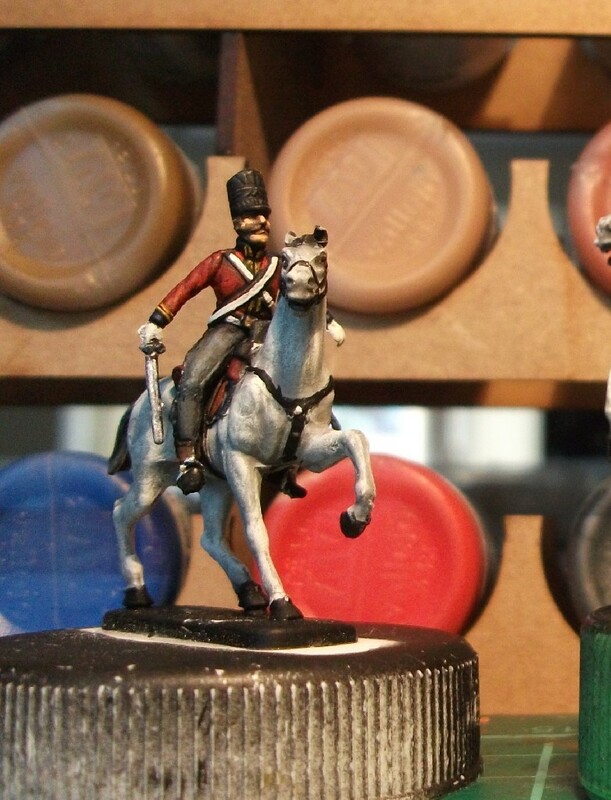 I’ve mentioned before in this blog how a key driver of my renewed interest in this hobby was to give colour to figures that frustratingly remained unpainted as a child. 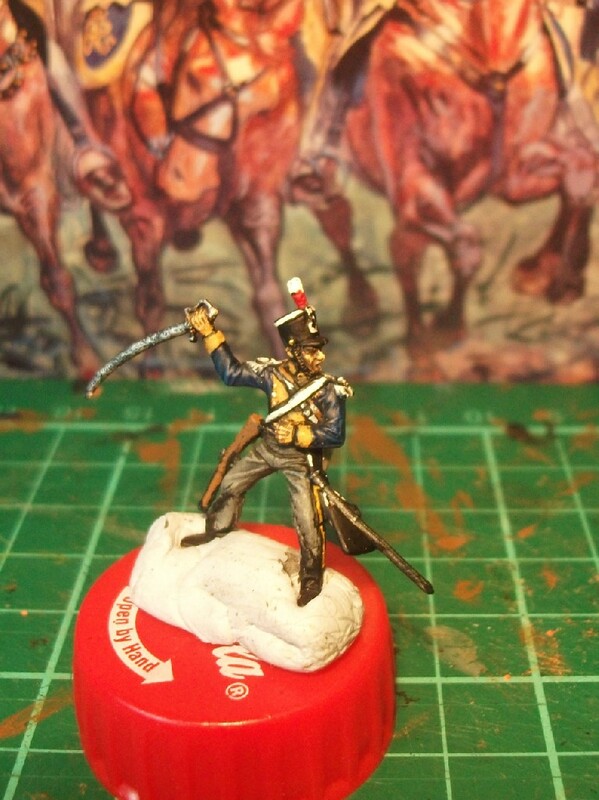 So, it’s perhaps a little strange that I have hitherto not attempted to paint any of those original childhood soldiers. To some extent, I wonder if I’ve considered them historical relics, or perhaps I’ve been stalling until I feel I can do them justice? 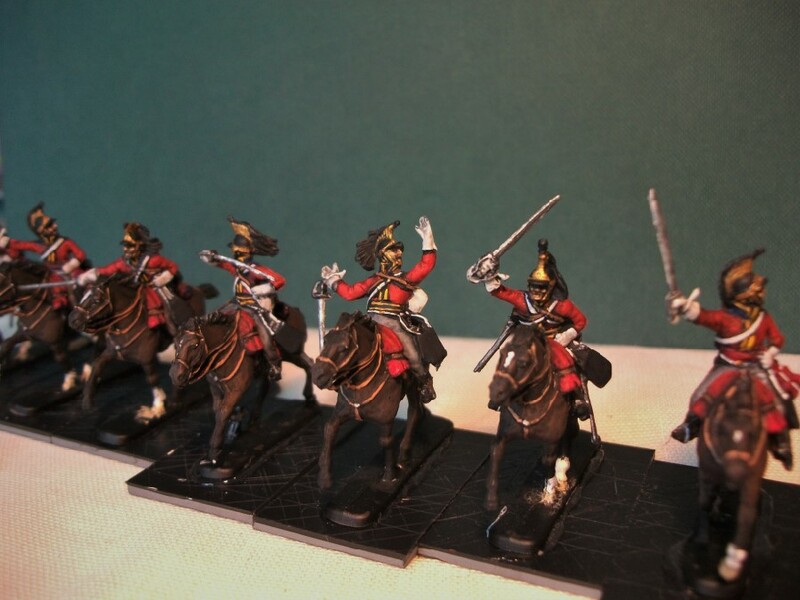 With such depictions as these, it was easy to forget that another four regiments took part in the same charge; the 1st and 2nd Life Guards, the Royal Horse Guards (the Blues), and the 1st (King’s) Dragoon Guards, the 1st (The Royals) Dragoons and the 6th (Inniskilling) Dragoons. 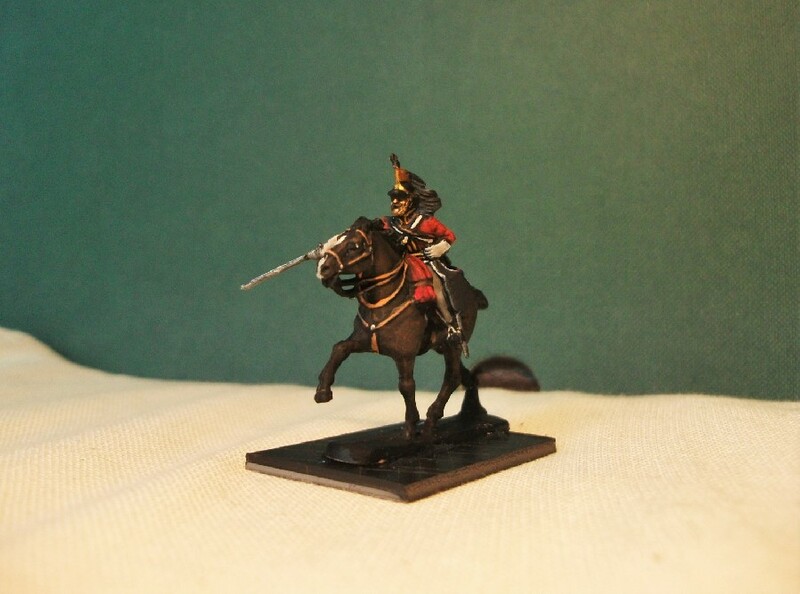 But it is the Scots Greys which feature heavily in popular depictions and, of course, in releases from model soldier manufacturers too! Hence this release from Esci way back in the 1980s. 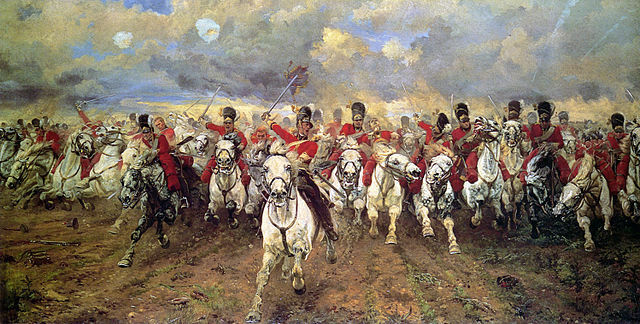 Esci correctly portrayed their Scots Greys with covers over their bearskin shakos (unlike many of the artists who chose to show the more romantically uncovered headgear). I’m no expert on the uniforms but have done my best with some basic research. 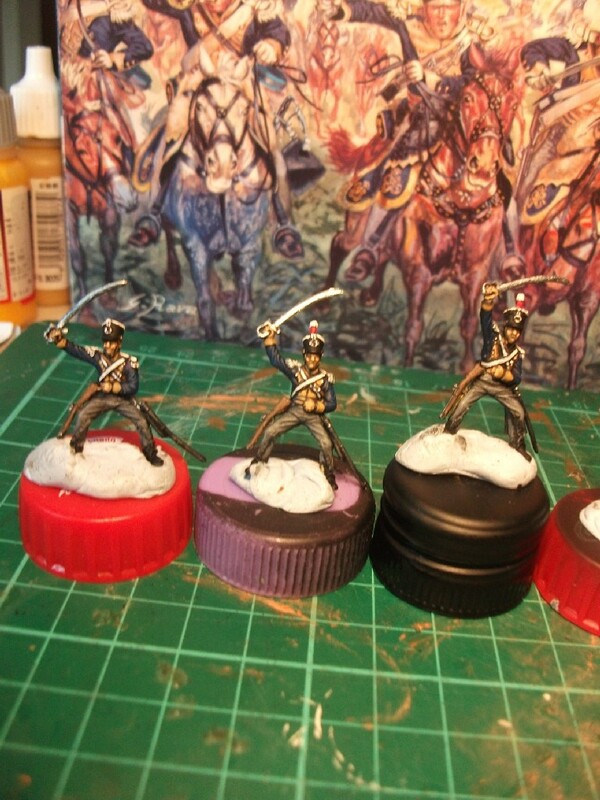 As for the greys themselves, I’ve suffered a couple of artistic tantrums in painting them up. My wife is an equestrian who has a horse (a dun, not a grey! ), so I’m a bit self-conscious about getting it right. Which I probably haven’t. But I’m happy to leave them as they are – they’re probably good enough after waiting all these years, I think! 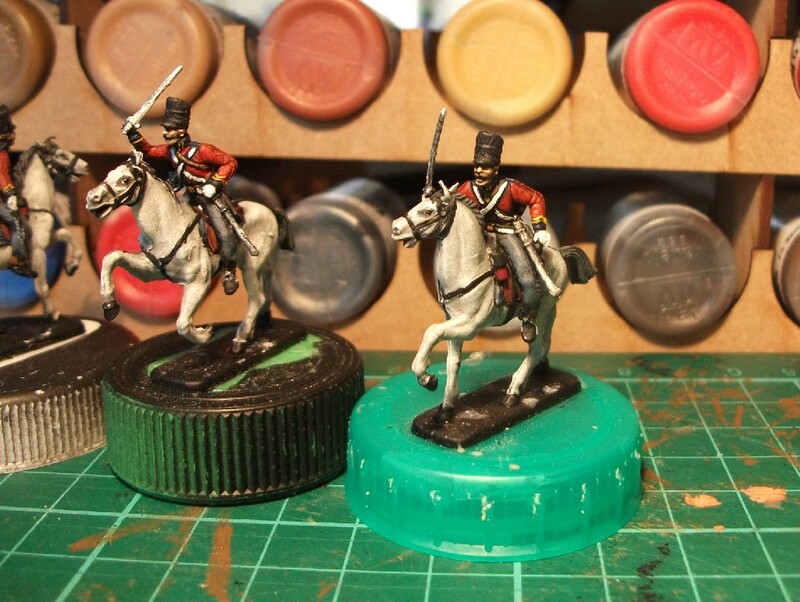 Esci Scots Greys on bottle tops! 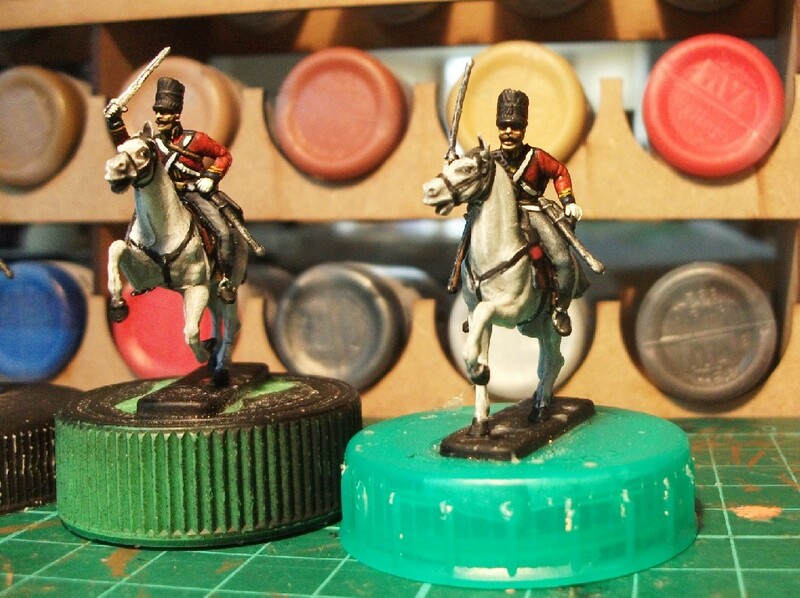 Esci Scots Greys painted by me! From childhood relic to full technicolor models!